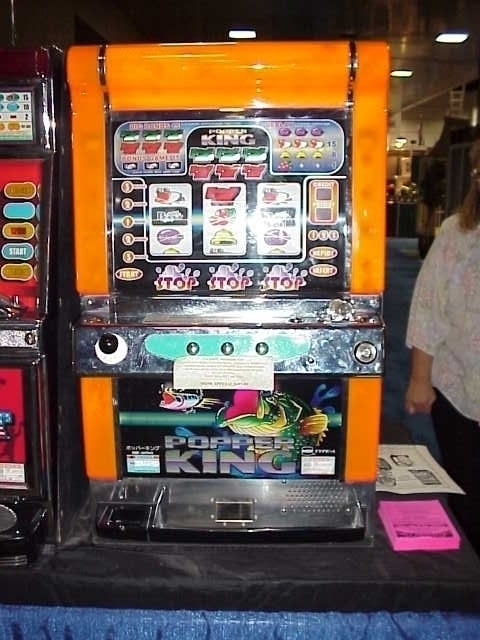 POPPER KING PACHISLO SLOT MACHINE. Direct from Japan’s Gambling Parlors in Tokyo. Plays and pays out like a slot machine but cost much less. 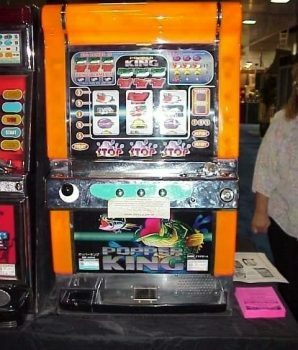 Machine comes with great sound effects, very colorful, lights up, has a five-line payout and comes with a three skill-stop reel feature. A great idea for family use because it works on token play. In great working condition. Size 18.5″ wide; 32″ high; 14″ deep and weighs approximately 75 lbs. Comes with 250 tokens about the size of a quarter. Popper King Pachislo Slot Machine Price: $250 plus shipping to continental USA. We have other models available. Watch our Pachislo video to learn how the machine works. Please inquire or continue to view other machines in our virtual catalog. If you need extra tokens for your Pachislo slot machine, please drop us a line or call. For multiple items, Gameroom Show offers a combined rate to reduce shipping costs.